What is the first thing you do when you hear about a product or service you might be interested in? Visit the company’s website, right? Your website is an extension of you and your brand, and in most cases, it is the very first way potential clients will learn about you. Great web design takes advantage of these 50 milliseconds and uses them to portray competence and expertise. 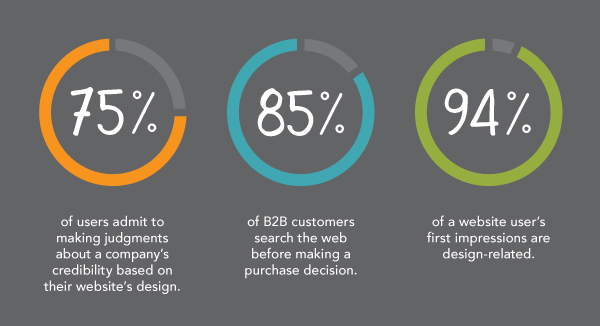 According to web credibility research from Stanford, 75% of users admit to making judgments about a company’s credibility based on their website’s design. This means that the design, functionality, ease of use and messaging on your site all need to be perfect and work together to portray your credibility to the visitor in the blink of an eye. The truth is, you can have great content, but if visitors don’t even get past your home page, what good is it doing? Visual appeal matters. A lot. And nowhere is that more true than on the web. Another recent study aimed to determine whether different design elements and content factors influenced trust among users visiting health websites. The most surprising revelation? Though this study was focused on healthcare websites, it seems fair to assume that the same principles apply to other types of websites, especially in industries such as finance, insurance, or law, where the credibility and trust of the service provider are of utmost importance. It’s important that you understand the full impact of your site’s design and how the user experience can attract or repel prospective clients. But how do you measure and track these qualities? A good (free) place to start is Google Analytics. 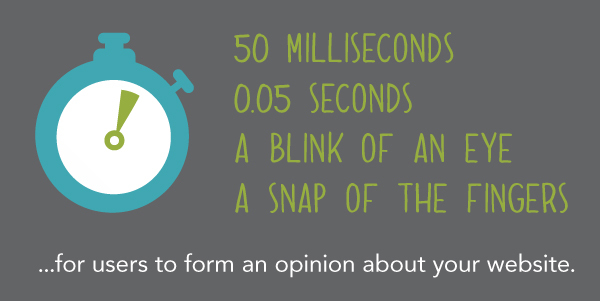 Do visitors to your site know within 5 seconds who you are, what you do, and whom you do it for? Does your homepage have a high bounce rate? (meaning visitors land on your page, and click away without viewing any other pages). Can visitors easily find the information they are looking for? You can easily get answers to these questions and more by installing and using Google Analytics (and it’s completely FREE). 2. 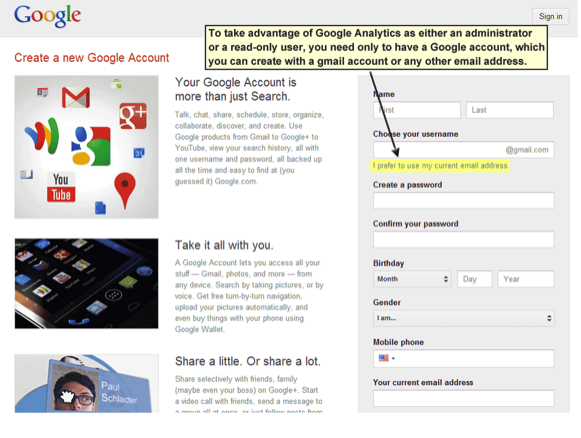 Create Google Analytics Account: . Follow instructions via Google to sign up your site. Upon completion, Google will provide you with an account number (UA-XXXXX-YY). 3. Embed Web Tracking Code on Twenty Over Ten site: If you are have a Twenty Over Ten website, completing this process is simple: Login to your account at Twenty Over Ten, and under the main “Settings” tab of your dashboard – insert your Google Tracking number and hit save. 4. Don’t have a Twenty Over Ten site? To complete this process on a site not hosted by Twenty Over Ten, you must have access to your website source code, and be relatively comfortable with HTML (or have your sitemaster/developer help you). Find detailed instructions from Google here. 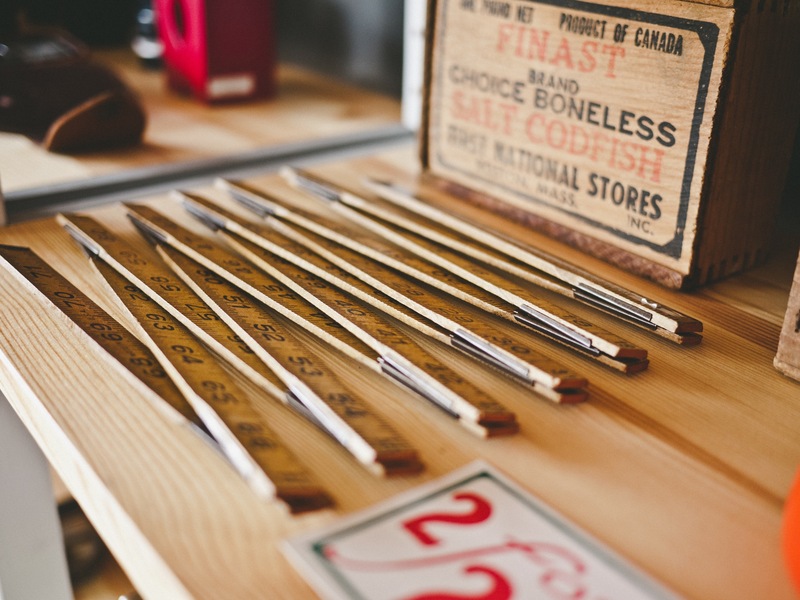 This post is the first in a series of posts regarding Google Analytics. We will continue with more in-depth articles covering Audience Demographics, Visitor Behavior, and User Acquisition in the coming weeks, so check back often!